© Liam Ham, Marie France Asia. Retrieved from Marie France Asia on October 23, 2017. © Ashley Carman, The Verge. Retrieved from Ashley Carman the Verge on October 23, 2017. The Sephora app has created a new way for customers to try on makeup without even entering the store. Customers can sit at home and become their own virtual artist. Bridget Dolan, Vice President of Sephora’s Innovation Lab said,“ We hear all the time that our clients wish they could try on every lipstick we carry to find the right shade for them (Evans, K. (2017)”. Now that reality is possible. With Sephora’s Virtual Artist, customers can try on almost every lipstick shade, scan their face for a Colour IQ, try on fake eyelashes, and take classes to contour their cheekbones (Holson, L M.(2017). “In the first three months in North America, the Virtual Artist grew to 3.4 million visits and 753,000 basket items (Harmeet, S. (2017).”The app also lets customers explore their own beauty journey. You can view customers reviews, join the Sephora Vlog, and even post your own looks. © Amazon. Retrieved from Amazon on October 23, 2017. The ability to try on multiple products and brands has allowed customers to explore products they may have never even considered before. “Brand loyalty is out, replaced by Sephora’s try-more-buy-more ethos. Friends hold as much sway these days as trained experts (Holson, L M.(2017).” Sephora’s mobile app also can also be used in-store. 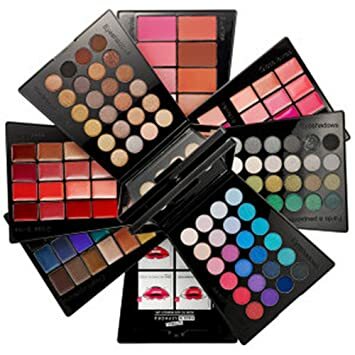 In this mode, a consumer can access their Beauty Insider account and scan a product to read its online reviews and view ratings. Giving customers, the virtual retail experience has created a long-term loyalty that will always have them coming back. Whether its for the same holy grail product, or to try something new, the Sephora app will be waiting for you.